Disclosure: We're elated to partner up with Eagle Ridge and share these specials with our readers. We have been compensated with a stay, for review purposes, and will have a photo feature up after our travels. The March weather in Illinois has ranged from the 80s to below freezing. There could be snow, rain or a beautiful, sunny spring day. For families spending spring break in the Midwest, the answer to the unpredictable climate could be Eagle Ridge Resort & Spa in Galena, Ill., only a few hours’ drive from Chicago. Vacation packages for the month of March give guests access to all the fun, relaxation, and beauty of Eagle Ridge and the Galena Territory no matter what the forecast brings. From now through Mar. 31, 2014, an exclusive Facebook fan rate for one standard hotel room is $99 per room. For teachers and school administrators with valid school identification, Eagle Ridge is offering a Teacher Appreciation Special of $89 per night. All room rates are subject to availability. If snow is still on the ground, guests can take advantage of Eagle Ridge’s Nordic Center, which offers use of cross-country ski equipment, sledding, sleigh rides and more. Regardless of the weather, it’s always summer around the heated indoor pool, where guests and families enjoy games and activities like movie nights and make-your-own snack. Guests can also relax at the luxurious Stonedrift Spa and at Eagle Ridge’s award-winning restaurants. 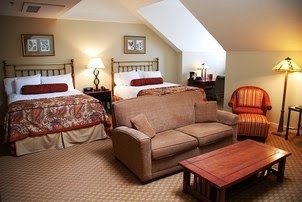 Guests can visit www.eagleridge.com for more details or to make reservations, or call (800) 892-2269. For the special $99 Facebook offer, people can visit www.facebook.com/EagleRidgeResort to redeem the offer. Eagle Ridge Resort & Spa is located 150 miles west of Chicago within The Galena Territory, a 6,800 acre recreational, residential and resort community six miles southeast of the historic town of Galena, Ill. The resort’s grounds include 63 holes on four award-winning golf courses, and accommodations that range from quaint Inn rooms to more than 250 villas and distinctive homes. Eagle Ridge Resort & Spa has 15,000 square feet of state-of-the-art meeting space and beautiful conference homes which regularly accommodate corporate groups, banquets and weddings. 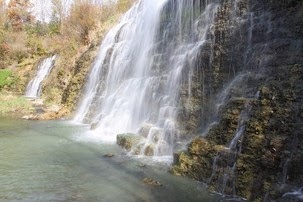 Other features include award-winning restaurants, the tranquil Stonedrift Spa, and an incredible selection of outdoor activities including miles of biking, hiking and horseback riding trails, as well as tennis, hot air balloon rides, boating and fishing on the picturesque 225-acre Lake Galena. For reservations or additional information, call (800) 892-2269 or visit www.eagleridge.com. Disclosure: Once again, we're elated to partner up with Eagle Ridge and share these specials with our readers. We have been compensated with a stay, for review purposes, and will have a photo feature up after our travels.